View Poll Results: Should we enable same-faction mercenary mode on our WoTLK realms? But it isn't an "always" thing, it just depends on which faction is needing people to fill their ranks at the time. Often there are too many Alliances, so it will be the Horde needing more people, but Blackrock didn't all just get turned into Horde or anything like that. The same thing that would happen in the original idea is happening, the only difference being that Blackrock, who already had players casually switching factions back and forth, is the one where players are being drawn from to complete teams needing more members. Okay so my feedback is that this is complete NONSENSE, as a horde player, we literally lose every single bg because we are constantly getting matched with blackrock players with like 80% of them having starter gear, playing against alliance premades from icecrown and fully geared toons. There is huge imbalance its not even competetive we are just getting demolished through every single bg daily. I think this mixed bg for only blackrock players is not a good idea at all, instead make it for icecrown only, since it has x10 times more players in pvp than blackrock, therefore it would make things more balanced, then just having 200 same people with starter gear on blackrock constantly queing bgs and ruining the daily pvp on horde. PLUS this will have huge impact on transfers, i bet that many players from horde will transfer to alliance, just because of this nonsense. Take Blackrock out of this ****ty *** feature. You people make it so we have to farm bgs in order to get honor to buy offpieces. Only problem is no honor farming takes place because every bg is a ****ing stomp due to the fact that alliance players from Blackrock are forced to play as horde against 6.5+ gs premades all day long. It's much more worse than before.. at least before MM was implemented , horde win/loose ratio was around 50/50% now its like 5% win rate. Now horde Iceclown's get que'd with Whackrock players who someone mentioned earlier are just those people who want to try out new specs, make fresh new characters and join bg's and most of them who know how to play goes afk if they join has Horde, and forget about players from Tryharderon ,in the past 4 days i saw only one player from Tryhardaeron (maybe they stopped queuing bg's. idk). Please remove Whackrock out of the equation as it is supposed to be an arena focused server only or better yet the whole cross-realm feature because there are three different type of servers. These are just my two cents, i doubt its gonna have any effect. Thanks. Existing Icecrown Horde players also is slowly moving to alliance side. Why have this mode when you can have alliance vs alliance or horde vs horde? Also i don't understand how you can mix a realm with free relentless gear with one where ppl have to start by farming green items. It's like 5/10 bgs i'm in have ppl with green lvl 77-78 items in my team vs full bis players.... Either make a GS balance between teams or just make it A vs A or H vs H.
Humans are turned into a third faction when they enter a BG. 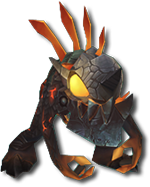 They appear as a murloc and can be attacked by everyone. Can someone screenshot what a mercenary mode alliance player LOOKS like in a bg as horde? Haven't been able to get a close look at one. Jeez instead balancing human racial they came out with this idea...the reason why alliance side is so crowded is because humans are OP especially the ones with a shadowmourne equipped (just take a look at the arena ladder all humas comp everywhere).No offence intended this is the best server I've played so far but this is the point of the problem,that sword combined with the human race it's simply broken, broken even more than gurthlack was in cata. Players who plays humans they just want a broken racial but without the downside of the longer queue time. Finally, do what Blizzard did recently and give the horde certain advantages of winning honor, gold or something special that the alliance wants, because this is a talk of children of 5 years where the solution you propose is the healthiest for all who play pvp. GREAT idea especially if you want climb the arenas towards 2200 rating,horde should be rewarded with more arena and rating point because climb the ladder as horde side it's harder it is a fact. You want to keep the blizzlike concept ? don't want nerf humans nor shadowmourne? I'm TOTALLY FINE with it and I understand your concept of game developing (it's hard keeping the server free and at the same time highly functional) BUT just reward our faction to deal with humans broken mechanics take a look at the Pvp ladder it's atrocious! (try to giving us more rating in arenas).